MINERS will be protected from job cuts targeting support staff at Rio Tinto's Clermont mine in Central Queensland. APN confirmed on Friday afternoon that Clermont's "coalface workforce", including production and maintenance crews, would not be touched as Rio began a review of the project. Of the 900 who are employed, about 400 fall into the category of support staff, usually white collar workers. Redundancies will be first offered on a voluntary basis, with forced redundancies following if needed. Its target figure so far is unknown. Rio - which owns the mine with Japan's Mitsubishi - released a statement on Thursday warning of a project review and subsequent redundancies. "Rio Tinto is looking at ways to reduce costs at Clermont Mine, to improve its competitiveness in an environment of significantly lower thermal coal prices," a spokesman said. It made no mention of redeploying workers at other Rio Tinto projects, although the company said it would provide support. In just 12 months, the price of thermal coal fell below $90 a tonne, on par with prices not seen since late 2009 or $30 below the price at the end of 2011. 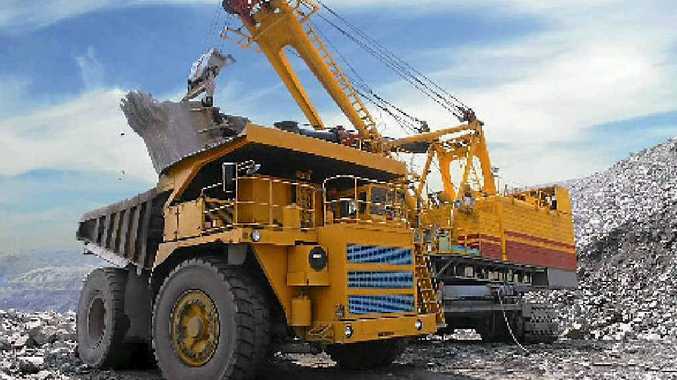 The threat of redundancies also follows Rio Tinto's quarterly review released on Tuesday which described Clermont Mine as having carried Rio's thermal coal exports as other mines were hit by bad weather. It stated thermal coal production grew by 15% "primarily due to increased production at Clermont which offset the negative impacts of wet weather events affecting a number of Queensland mines". The spectre of job cuts at a time when the industry is reportedly booming prompted concerns in surrounding communities.